April 22, 2019 – U.S.-based National Entertainment Collectibles Association (NECA) announced today the expansion of its licensing agreement with Viacom Nickelodeon Consumer Products (VNCP) for Teenage Mutant Ninja Turtles (TMNT). For the first time ever, NECA’s distribution agreement will include international markets, allowing its bestselling TMNT action figures and collectibles to be sold in dozens of countries around the world from Asia to Europe to South America. NECA (National Entertainment Collectibles Association) is a leading creator, marketer, and global distributor of licensed consumer products based on some of the world’s most recognizable movies, video games, comic books, and pop culture. The NECA group of companies includes game developer and publisher WizKids, urban vinyl icon Kidrobot, and Joseph Enterprises, Inc., the creator of Chia Pet, The Clapper and other iconic American products. More Nick: Worlds Collide in 'Batman vs. Teenage Mutant Ninja Turtles' Trailer; Release Dates Announced! Originally published: Monday, April 22, 2019 at 9:30pm BST. Additional sources: Action Figure Insider, The Toy Book. Chloe's Pops, a line of frozen treats, has partnered with Nickelodeon, the number-one entertainment brand for kids for a new kid-focused line! The line of 40 calorie fruit pops is made with the same simple base ingredients as Chloe’s main line — fruit puree, water, and cane sugar. At launch, a new blueberry-banana combination features Thomas & Friends branding and packaging, while Sunny Day will be featured alongside a new strawberry-mango blend. The line made its debut at Natural Products Expo West earlier this year, and will roll out nationwide across North America at Walmart, ShopRite, and other major retailers by the end of May. For its kids line, Chloe has gone with a 1.5-ounce (compared to the 2.5-ounce original size), 'bullet' shape product. The collaboration with Nickelodeon marks the first licensed line extension for Chloe’s Pops, which was founded by mom-to-be Chloe Epstein in 2014, as an alternative to frozen treats packed with sugar and artificial ingredients. The brand began as a retail location in NYC prior to branching into consumer packaged goods. For Epstein, the brand's kids line extension is a fulfillment of the original mission she had when launching Chloe's CPG Pops back in 2014. As a mom of young kids, Epstein was always searching for a clean label treat with simple ingredients that weren't loaded with artificial ingredients, but felt dismayed at the options available. Partnering with Nickelodeon will help Chloe's better reach a new target consumer audience of young kids. “Who better to capture kids’ attention than the number-one entertainment brand for children?,” commented Epstein. "For me, the kids part of this is why we started the business: to offer clean, exciting options that kids could enjoy and parents could feel excited about,"​ Epstein told FoodNavigator-USA. Chloe's saw a hole in the market for pops that appeal to a younger age group (aged 2-6), addressing the market need by creating a smaller version that kids could finish in one sitting. "We were getting a lot of feedback that kids love our pops, but for the younger ones they were not able to finish them," Epstein added. Find Chloe's at your local grocery store at www.chloesfruit.com/where-to-buy. Sunny Day is an animated preschool series that centres on Sunny, a 10-year-old master hairstylist and entrepreneur who uses creative problem-solving to tackle any dilemma that arises in her seaside town of Friendly Falls. The characters in the series celebrate individuality and self-expression, while the show’s social-emotional curriculum highlights leadership, innovative thinking and teamwork. Sunny is a confident and creative natural leader who runs her own hair salon in the town of Friendly Falls. When adventure calls, Sunny sets out to save the day with her can-do attitude, salon-on-the-go Glam Van, best friends and colleagues, Rox and Blair, and her dog Doodle. 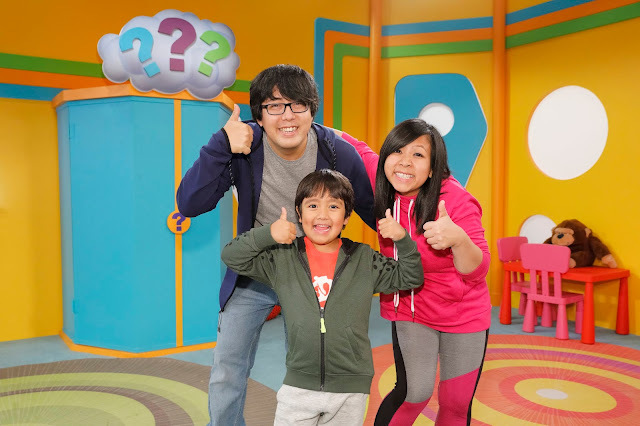 Each episode of Sunny Day features a unique digital extension where kids and their parents can watch fun, live-action hairstyle tutorials that are tied directly to the hairstyles featured in each episode and narrated by Sunny. Initially greenlit for 40 episodes, Sunny Day made its world debut on Nickelodeon USA in August 2017 and has since rolled out on Nickelodeon and Nick Jr. channels globally. Season two will feature a new vehicle, Groom and Vroom, a new mobile saloon designed only on pets, in addition to the Glam Van. In addition, Lacey will join the salon team to manage Sunny’s new Pet Parlor. Sunny Day is produced by Silvergate Media (Fashion Ally, Peter Rabbit) for Nickelodeon. Visit nickjr.com and the Nick Jr. App for more Sunny Day. Thomas & Friends features Thomas the Tank Engine adventures with other locomotives on the island of Sodor. Thomas often gets into trouble, but never gives up on trying to be a really useful engine. Other members of Sir Topham Hatt's Railway include: Percy (Thomas' best friend), and Gordon (the fastest and most powerful member of the team). Thomas the Tank Engine™ was originally created over 70 years ago by the Rev W Awdry, as a storybook for his son. That story quickly grew to become the award-winning #1 global preschool train brand franchise it is today, enjoyed by families around the world across multiple touch-points and formats, including: toys, apps; consumer products; publishing; live attractions and much more with over 1 engine sold per second. Thomas & Friends is aired in over 160 territories, in over 50 languages with over 1.16 billion lifetime views on YouTube, and offers more than 80 hours of original content produced from 500 episodes and 12 specials. Thomas & Friends will be celebrating its 75th anniversary in 2020. Produced by Mattel Creations, Thomas & Friends is currently in its 22nd season (Big World! Big Adventures! 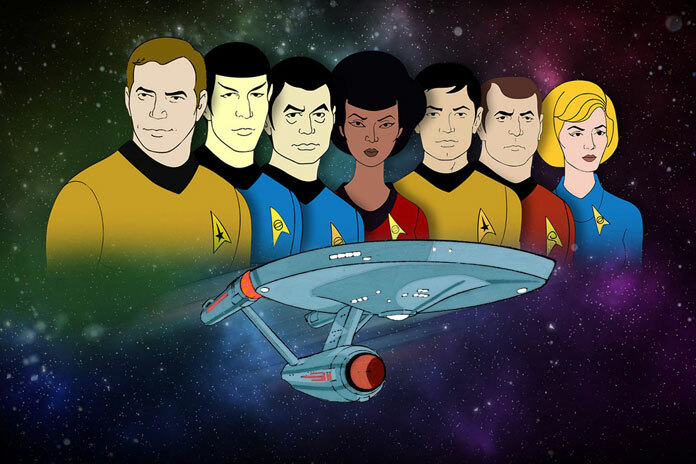 ), and will be steaming into its 23rd season later this year. Thomas & Friends airs on Nickelodeon in the U.S.A. and Milkshake! in the U.K. Under Nickelodeon's partnership with Mattel, Nickelodeon serves as the exclusive consumer products agent for Thomas & Friends in the USA across multiple merchandise categories including apparel, accessories, home goods, consumer electronics, and more. Visit http://www.thomasandfriends.com to find out more about Thomas & Friends. Chloe’s makes frozen snacks with nothing to hide. Chloe’s pops are creamy, clean and delicious because of the simple ingredient list. Founded by a mom of three, the company launched their fruit pops in 2014 in a single retailer and has since expanded to over 13,000 stores nationwide, becoming one of the fastest-growing frozen novelty brands in the U.S. In 2019, Chloe launched an indulgent Dairy-Free Dark Chocolate Dipped Pop line as well as a children’s focused line of pops in partnership with Nickelodeon (Thomas & Friends/Sunny Day). Chloe’s also operates both a retail store in New York City, offering consumers the ability to experience all of its creations, as well as a food service business nationwide. In 2017, Chloe’s participated in the Chobani Incubator and was selected as a leading brand with the best opportunity to disrupt, innovate and inspire a multi-billion dollar category. Founder Chloe Epstein, has been recognized by Food & Wine and Fortune as one of the most innovative women in food and drink. For more information, visit: www.chloesfruit.com. Original source: The Toy Book. NEW YORK— At this year’s Natural Products Expo West, Chloe’s — the mom-founded, leading frozen snack brand famous for making frozen pops with just fruit, water and cane sugar — announced its dip into decadence with the launch of its new Dairy-Free Dark Chocolate Dipped Pops. The brand will also introduce its first kid-focused line of fruit pops, featuring popular Nickelodeon characters. Chloe’s first gained national attention when it launched into retail markets in 2014 and has grown significantly with distribution in over 13,000 top stores nationwide, including Kroger, Albertsons/Safeway and Publix. With a mission to provide delicious fruit pops made with clean, simple ingredients, Chloe’s has introduced nine fruit varieties, including stand-outs like Mango and Dark Chocolate and new comers such as Blueberry and Cold-Pressed Coffee featuring the coffee from La Colombe Coffee Roasters, a partnership that stemmed from its participation in the Chobani Incubator. Due to an overwhelming consumer demand for indulgent food with a clean ingredient panel, Chloe’s developed a decadent spinoff to its classically clean fruit pops with the Dairy-Free Dark Chocolate Dipped line, a product offering that Chloe Epstein, the brand’s co-founder, describes as “permissible indulgence.” Each pop has only 120 calories and the line includes: Banana Dipped, Strawberry Dipped and a special Dark Chocolate Dipped with organic quinoa puffs for that crave-worthy crunch. The Dipped Pop line is currently available at over 3,000 retailers nationwide, and one box containing four 2.5 oz. pops is priced at $4.99 – $6.49. Chloe’s goal to provide better-for-you, accessible snacking choices for children is what drew the brand to collaborate with Nickelodeon. “My vision for Chloe’s was always to provide exciting and delicious options with simple ingredients that I, as a Mom, could feel great about feeding to my kids and, at the same time, know they would love,” said Epstein. “Who better to capture kids’ attention than the number-one entertainment brand for children?” Still made with the same simple ingredients: fruit, water and cane sugar, the new line of 40 calorie pops includes a Blueberry-Banana combination featuring Thomas & Friends and a Strawberry-Mango blend with new favorite character, Sunny Day. The line will launch in Walmart, Shoprite and other retailers nationwide Spring 2019, and a box with 10 of the 1.5oz pops is priced at $3.98 – $6.99. Find us at your local grocery store at www.chloesfruit.com/where-to-buy. Originally published: Monday, April 22, 2019 at 9:11pm BST. More Nick: Nickelodeon USA's May 2019 Premiere Highlights! Follow NickALive! on Twitter, Tumblr, Reddit, via RSS, on Instagram, and/or Facebook for the latest Nickelodeon, SpongeBob SquarePants and The Loud House News and Highlights! This Queen Bee is one you’re sure to remember! Queen Bees was a reality show that followed seven high-maintenance girls who arrive in Los Angeles, convinced that they are set to compete for a reality TV show to pick the biggest diva. Instead, they learn that their fed-up friends and family have shipped them off for a personality makeover from Dr. Michelle Callahan (The Tyra Banks Show) and Yoanna House (America's Next Top Model). The mean girl who is able to turn it around the most wins $25,000. The Queen Bees were Stassi Schroeder, Gisbelle Castillo, Michelle Madonna, Shavon Booney, Kiana Jenkins and Camille Lopez, with Gisbelle being named the winner and donating her winning money to Para Los Niños, the charity they visited in the show. Queen Bees aired for eight episodes over one season July 11 – August 29, 2008 on The N, the predecessor of TeenNick. Watch all your ‘80s, ‘90s, and ‘00s Nickelodeon favorites on NickRewind, your late-night destination for your favorite childhood Nickelodeon cartoons and live-action shows! NickSplat doesn't question football-shaped heads, but embrace them - along with Reptar bars, a Big Ear of Corn, orange soda, and even slime for Pete (and Pete's) sake. Make your slime-covered Nickelodeon childhood dreams come true every night at 11 PM ET/PT on TeenNick USA, and anytime you want on NickSplat on VRV! Follow NickALive! on Twitter, Tumblr, Reddit, via RSS, on Instagram, and/or Facebook for the latest Classic Nickelodeon, NickRewind and Queen Bees News and Highlights! All unmorphed battles and fights in Power Rangers Beast Morphers Episodes 1-7. Devon, Ravi, and Zoey work together to battle Blaze, Roxy, and the Tronics. Power Rangers Beast Morphers Episode 8 airs Saturday, April 27 at 8:30 a.m. (ET/PT) on Nickelodeon USA! Cast: Rorrie Travis (Devon / Red Ranger), Jazz Baduwalia (Ravi / Blue Ranger), Jacqueline Scislowski (Zoey / Yellow Ranger). Cast: Rorrie D. Travis (Devon / Red Ranger), Jazz Baduwalia (Ravi / Blue Ranger), Jacqueline Scislowski (Zoey / Yellow Ranger), Colby Strong (Blaze Ranger), Liana Ramirez (Roxy), Abraham Rodriguez (Nate), Kristina Ho (Betty), Cosme Flores (Ben). Catch Power Rangers Beast Morphers, the latest season of Power Rangers, Saturdays at 8:00 a.m. (ET/PT) on Nickelodeon USA! More Nick: Hasbro Announces New 'Power Rangers' Live Tour! Canticos classic nursery rhyme sing-along videos are the perfect tool for learning words and songs in two languages (English and Spanish). Learn “Little Sailor” and enjoy Nick Jr.’s "This Little Piggy" Remix featuring PAW Patrol, Bubble Guppies, Shimmer & Shine, & more! More Nick: Encantos and Nickelodeon’s to Debut 'Canticos' Merchandise in Fall 2019! Follow NickALive! on Twitter, Tumblr, Reddit, via RSS, on Instagram, and/or Facebook for the latest Nickelodeon Preschool and Nick Jr. Canticos News and Highlights! Are you ready for Are You Smarter Than A Fifth Grader?! 🍎 John Cena is! Nickelodeon is bringing back the iconic family game show Are You Smarter Than A 5th Grader with all-new episodes hosted by WWE legend John Cena! Are You Smarter Than A 5th Grader begun production in Los Angeles this spring and is slated to premiere this summer on Nickelodeon. 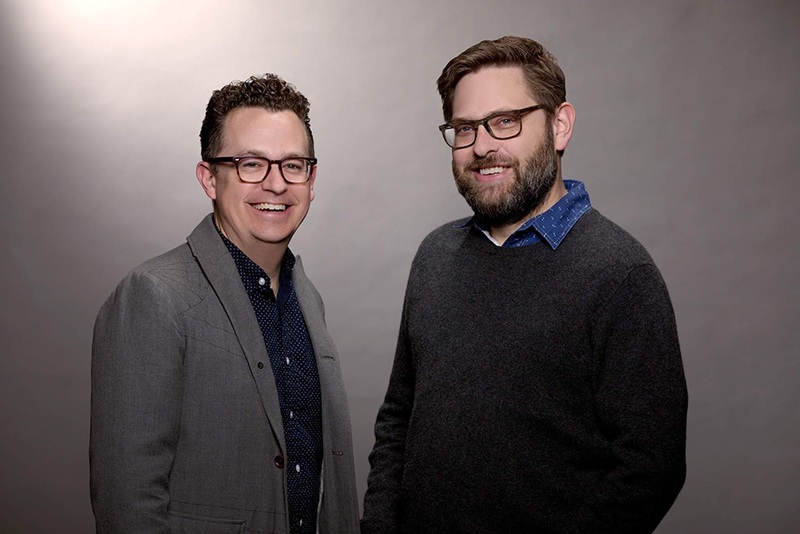 Nickelodeon announced plans to revive Are You Smarter Than A 5th Grader as part of Nickelodeon's 2019 Upfront, and forms part of the network's slate of new programming for the whole family. Nick’s insights reveal that family time is the most important passion point for kids and parents today, with their top priority being to spend time together and look for opportunities through shared experiences. Today’s families state that watching TV together is their favorite activity, corresponding to the current 10-year high in co-viewing, where 44% of kids’ viewing is with an adult. 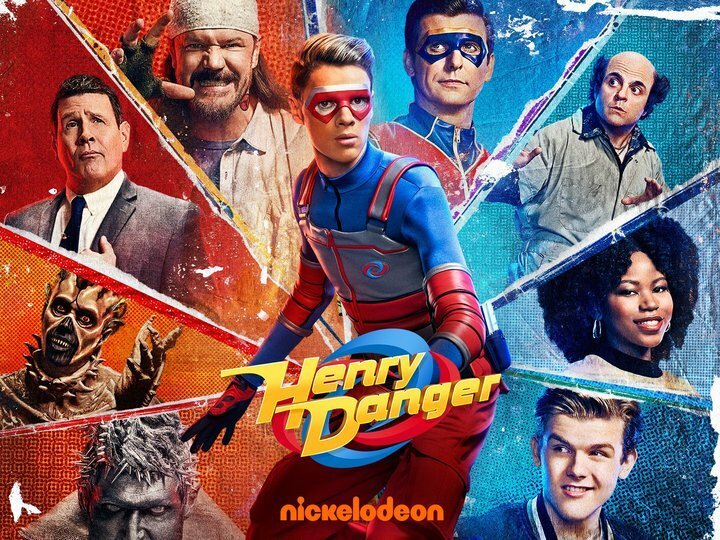 To capture co-viewing opportunities, Nick is producing shows with built-in appeal to every family member, including: The Substitute (hidden camera prank show), Are You Smarter Than A 5th Grader (reboot), Are You Afraid of the Dark? (revival miniseries) and All That (revival). For the reboot of Are You Smarter Than A 5th Grader, host and WWE superstar John Cena will also serve as an executive producer. Mark Burnett, Chairman of Worldwide Television, MGM (Survivor, The Voice) and Barry Poznick, President, Unscripted Television, MGM (Beat Shazam, The World's Best) will return as executive producers of the reboot, which places kids squarely in the center of the action. Follow NickALive! on Twitter, Tumblr, Reddit, via RSS, on Instagram, and/or Facebook for the latest Nickelodeon and Are You Smarter Than A 5th Grader News and Highlights! Join Tori (Victoria Justice) as she gives her sister the gift of song for her birthday! But wait what about Tori's cheekbones? Follow NickALive! on Twitter, Tumblr, Reddit, via RSS, on Instagram, and/or Facebook for the latest Nickelodeon UK and Victorious News and Highlights! Thomas & Friends season 22, "Big World! Big Adventures!" is airing now on Milkshake! in the UK and on Nickelodeon USA! More Thomas: Trailer: Thomas Set to Visit Italy and Brazil in 'Thomas & Friends' Season 23; New Two-Part Special "Digs & Discoveries" Schedule to Arrive in 2019! Не пропупустите второй выпуск "Nick Jr. в кино" с 2 мая! Больше Nick: Russian Favourites Win Big in Nickelodeon's Kids’ Choice Awards 2019 | Nickelodeon Russia! Follow NickALive! on Twitter, Tumblr, Reddit, via RSS, on Instagram, and/or Facebook for the latest Nick Jr. Russia, Nickelodeon Preschool and PAW Patrol News and Highlights!